Film production company Screen Gems has announced that The Last of Us will turned into a movie, with Naughty Dog to write the script. 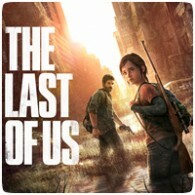 Creative Director Neil Druckmann, Game Director Bruce Straley, and co-President Evan Wells and Christophe Balestra will help to produce the movie adaptation. The roles of Joel and Ellie haven’t been casted yet, but it will be interesting to see who eventually gets the part. Maybe Juno’s Ellen Page will audition for the role of Ellie as there is an uncanny resemblance between the two.